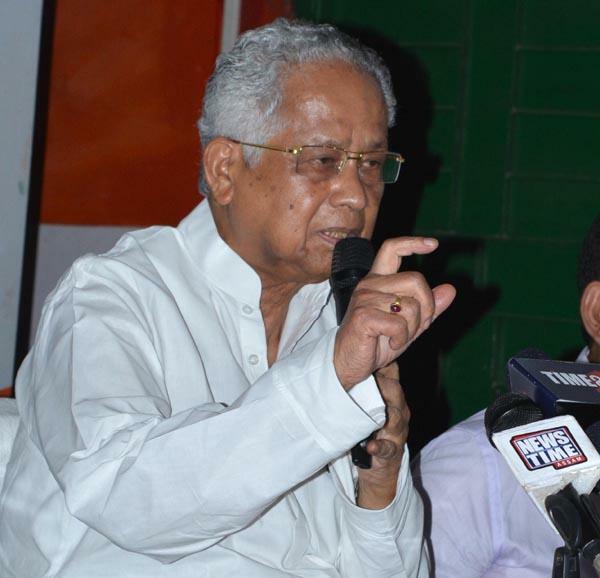 Senior Congress leader Tarun Gogoi today said the Rs 2,350 crore package announced by the Prime Minister for all flood-hit northeastern states was "meagre" and alleged the BJP government in Assam did not present the real situation of the State to Narendra Modi. "For the Ganga rejuvenation project, Rs 20,000 crore were announced, then why only Rs 2,350 crore for the entire northeast," the former chief minister asked and demanded Rs 50,000 crore for tackling floods caused by the Brahmaputra. The prime minister had on Tuesday announced a package of Rs 2,350 crore for all northeastern states hit by floods and immediate release of Rs 250 crore for flood-hit Assam. He also announced Rs 2 lakh each for the next of kin of those who have lost their lives due to floods in Arunachal Pradesh, Manipur, Mizoram, Nagaland and Tripura, the Prime Minister's Office (PMO) had said, adding the seriously injured people will get Rs 50,000 each. Gogoi today said, "I think the Assam government did not present the proper picture before the Prime Minister. Modi said he sympathised with Assam and the northeastern states, then why only over Rs 2,000 crore (announced for flood-hit states)." "He (Modi) only sheds crocodile tears for the region. For five states, he stayed only for five hours. Why didn't he go and listen to the 'Mann Ki Baat' of the flood victims," the Congress leader asked. He alleged that the state government was being run by the bureaucrats only and ministers were having very little say in it. Gogoi today said, "I came to know that during yesterday's meeting (with the PM), the entire presentation was given by the chief secretary. It should have been by the minister concerned. The state water resources minister only addressed a press conference after Modi left." Assam Chief Minister Sarbananda Sonowal had presented to the prime minister a loss of Rs 3,888 crore loss due to the latest floods, but did not submit any memorandum. Gogoi also sought clarity on the Rs 250 crore announced for Assam and asked if it was a new fund or just the state's due share. "I demand the government to come out with a 'white paper' on flood relief funds from the Centre. Let the public know how much money Assam got during our tenure and now. Also it should mention how much the Centre gave to Gujarat, Jammu and Kashmir, Telangana, Rajasthan and other states compared to Assam," he said. Gogoi also alleged that the Central flood funds sanctioned during his tenure as the chief minister were not released then, but slowly being given to the state now.